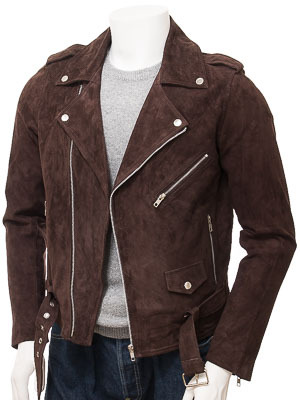 Possibly the most famous leather biker jacket in the world, presented in a brown goat suede. For a design this iconic a description is pretty superfluous. Originally shocking America when worn by Marlon Brando in The Wild Ones and later a signature jacket of The Ramones this jacket has been reinterpreted in an ultra soft goat suede. 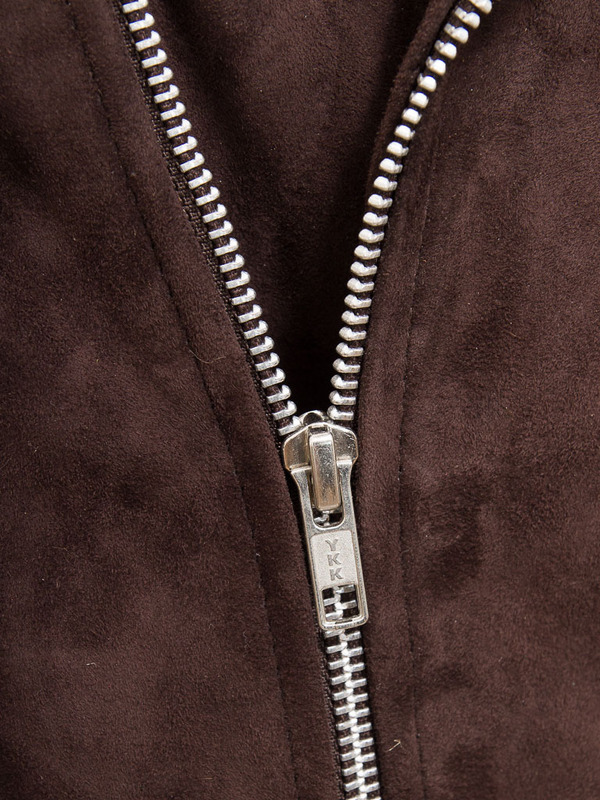 The all important features are an asymmetric double breasted front with angled YKK zip up to press stud wide lapels. There is a diagonal zipped pocket at the chest plus another two at the waist. 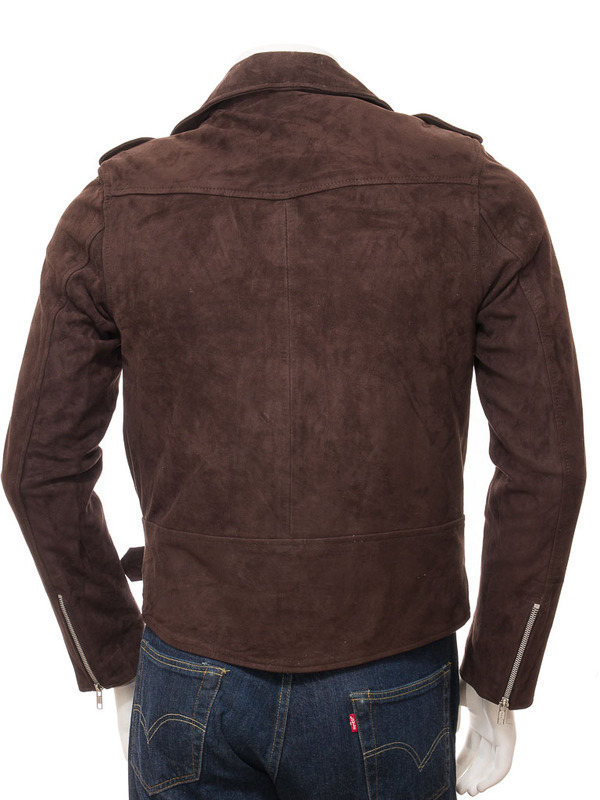 The buckled leather belt is side attached and there are a two press stud epaulettes on the shoulders. 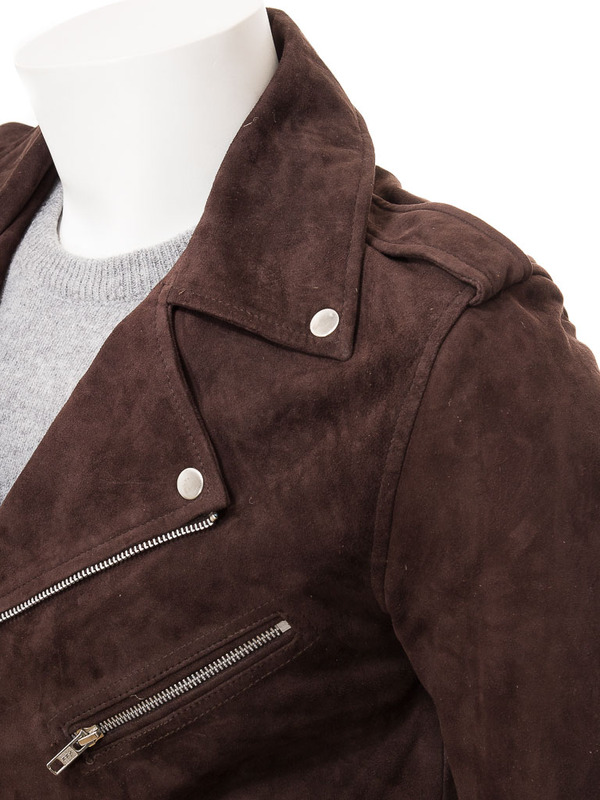 Inside the jacket is fully lined in matching satin and incorporates two more suede trimmed pockets, one of which is zipped.